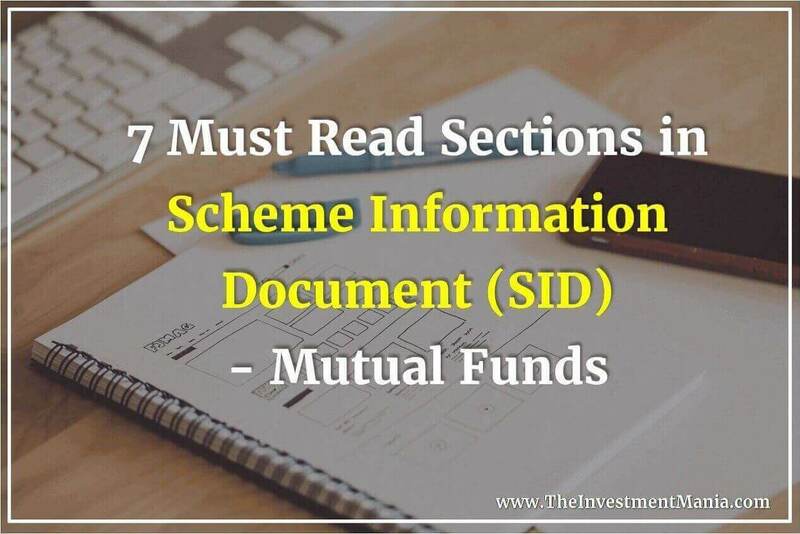 Scheme Information Document (SID) provides investors with important information that you need to know about the scheme. You must have read disclaimers in mutual funds, advising you to read the scheme information document before investing. But a SID can confuse you, going by the information overload that it carries. So, here’s what we would recommend that you look for in a SID, to know about a fund. What to look out for in Scheme Information Document (SID)? The opening section of a SID gives the highlights, and the summary about the scheme and the following section goes on to describe the components of the summary in detail. The first page consists of the name of the fund and the nature of the scheme, whether the fund is open-ended or closed-ended. It also gives you the NFO dates, from when the fund is going to be/was public for subscription and the closing date along with when the fund will be open for subscription and the redemption after the NFO. Investment Objective and Investment Strategy – You must have seen, every mutual fund scheme has an ‘investment objective’ and it is essential to understand the same before investing your money into it. The investment objective explains the purpose behind launching a particular mutual fund scheme and how it will be achieved. Besides this, most importantly it clears the doubt created in the minds of the investors due to the scheme names they sometimes carry. For example, ‘Capital Protection Oriented Funds’ do not guarantee protection to capital, as also ‘Monthly Income Plans (MIPs)’ does not guarantee any monthly income. Similarly, a ‘High-Interest Fund’ does not guarantee high-interest income. Such doubtfulness is clearly answered by the mutual fund scheme’s ‘Investment Objective’ – and therefore it is necessary for you to read that well; because the investment objective of the scheme could be very different than the ones fitting your requirements. Fund adopts some strategy to achieve its investment objectives, and it is vital to know before investing in any mutual fund scheme. The investment strategy describes the approach the mutual fund scheme would choose while selecting the instruments (equity, debt, gold and cash market) for investment. The investment strategy reflects the methods and systems followed by the mutual fund house as a whole. Such process driven schemes are always better, as compared to those that do not follow a clear strategy and depend only upon the fund managers’ ability to pick investment instruments for their portfolio. One of the first things to look out for is the indicative asset allocation section that gives the investment strategy of the fund. This explains the asset classes and the percentage range within which the fund manager would be investing in every asset class. The investment in an asset class stated by the fund’s manager cannot surpass the limits stated in the SID. The unusual circumstances under which the fund may break such limits will also be stated. You will notice that the asset classes and their boundary range vary across different types of mutual funds. For example, a large-cap equity mutual fund may have the limits defined for equity between 80% to 100% and cash and cash associated with being between 0% and 20%. The fund manager needs to adhere to these limits under most of the circumstances. When a circumstance like the crash of 2008 arises, and the fund manager feels the need to raise the cash levels beyond the 20% prescribed in SID, he will have to ask the approval of SEBI. Similarly, a balanced fund may have the boundaries for the equity investment to be between 35% and 75% with debt making up the remainder of the fund. Likewise, a debt fund will have boundaries set for the range in which the fund manager can invest in different debt papers and money market instruments depending on the kind of debt fund. Do look for the assets the fund will invest in and their minimum and maximum limits in the case of asset allocation funds, arbitrage funds, and equity savings. Once you get a fundamental idea regarding the basic asset allocation, further reading of the Scheme Information Document will help you learn how the fund defines stock categories, such as small-cap, mid, and large stocks. For equity mutual funds, and the average maturity and credit quality for debt funds. The initial segment of the SID lists the fund manager, and it’s co-fund manager if any, while in the later part one can look for complete information regarding their experience, qualification and the list of other funds they manages/co-manages. If the mutual fund is new, you can check fund manager’s records with other funds they have managed before. This will give you an idea of the fund managers ability to give you great returns. This is another important component that is described in detail as well in scheme information document. Expense ratio can be seen in the head section “fees, costs and load structure.” A clear break up of all the expenses that constitute the expense ratio will be listed here. This break up will give a very clear picture of what will be the expenses that are charged to the fund for the regular and direct plan. And at what levels of assets under management (AUM), the degree up to which the expense ratio can be charged. It should be noted that this charge is before the NAV is declared. It is always advisable to invest in lower expense ratio fund, as you will get great returns. Lower the expense ratio, higher the returns you will get. So always make sure to check this ratio while comparing various funds. Tax implications on realized profits and dividends are the important information to look for in a Scheme Information Document. Irrespective of the sort of fund, the tax consequences on both realized profits, dividends payouts, and the applicability of Securities transaction tax (STT) are explained in detail in the SID. Look out for the minimum investment and new investment values for lump sum besides the minimum amount for SIPs in scheme information document to know how much you can invest. Moreover, watch out for the dates during the month when the SIPs can be set up. 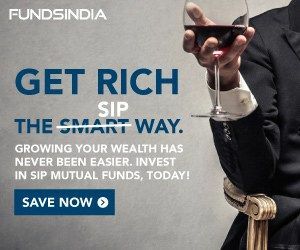 In online platforms like FundsIndia, you can decide any days for SIP. SID also asserts the general risks affecting the debt and equity markets. Risks that may occur due to the use of derivatives and abroad securities in the fund would also be declared. Aside from these the SID also contains details regarding the equity, fixed income, and derivatives market in India. Scheme Information Document is a very comprehensive document an investor can use to study about the mutual fund scheme, their risks and how they are managed. Scheme information document of the mutual fund schemes would also include details about their past performances over different time frames. Past performance of the fund can be guidance while making an investment decision, but it should not be sole criteria to relied upon, as they said past performance cannot be an indication of future performance of the scheme. While assessing a mutual fund scheme, it is important to look at performance over longer time frames (more than five years) and not get lured by short-term performance, if there is any. Also, it is essential to assess whether the track record clocked by the respective mutual fund schemes meets the investment objective laid out. It is important to read scheme information document before investing in any mutual fund scheme as it gives you all details like fund performance, charges and fees, scheme objective and asset allocation, tax implications, and fund manager’s record. This, in turn, gives you a best mutual fund to invest your money. SID is a really a must read document before investing into every mutual fund scheme. Very well written. Thanks for sharing the post. Need your help in creating my first trading blog.